Immuno-oncology, also named cancer immunotherapy, refers to the use of a patient’s own immune system for the treatment of cancer. Over the past decade, research about the role of the immune system in controlling tumorigenesis and tumor progression showed that tumor-infiltrating lymphocytes (TILs) in cancer tissue, and in particular, the presence of CD8+ cytotoxic T cells and the ratio of CD8+ effector T cells/CD4+/forkhead box P3+ regulatory T cells (Tregs), seem to correlate with improved prognosis and long-term survival in many solid tumors. However, activation of T cells requires two signals: 1) recognition of the antigenic peptide/major histocompatibility complex (MHC) by the T cell receptor (TCR) and 2) antigen-independent co-stimulation induced by interactions between co-signaling molecules expressed on antigen-presenting cells (APCs) and their T cell-expressed receptors. T cell activation can also be negatively regulated by co-inhibitory molecules present on APCs, called immune checkpoints, which represent a crucial mechanism for maintaining self-tolerance and regulating the duration and magnitude of immune responses under normal conditions. T cells with a diverse TCR repertoire permanently circulate in the body patrolling for evidence of foreign peptides presented on the surface of cells because of infection or cancer. When a T cell encounters a tumor antigen, this normally results in activation, clonal proliferation/expansion, and a cytolytic response. However, tumor immune interactions may be dysfunctional because of impaired antigen recognition or a highly immunosuppressive microenvironment the tumor creates which eventually leads to immune evasion. Drug treatment targeting various mechanisms of immune tolerance and combinations thereof have already been approved by the health authorities and are still being actively investigated. Most immunotherapeutic agents currently in development may be roughly categorized into: (1) drugs targeting the tumor immune evasion via blockade of negative regulatory signals (e.g., co-inhibitory checkpoints) and (2) agents that directly stimulate immunogenic pathways (e.g., agonists of costimulatory receptors). Additional immunostimulatory strategies include enhancers of antigen presentation (e.g., vaccines), the use of exogenous recombinant cytokines, oncolytic viruses, and cell therapies using native or modified antigen-competent immune cells. At Enzo, our aim is to support yours. We have called upon our diverse scientific and technical expertise to create innovative assays and reagents to help support cancer discovery into the next decade, and beyond. We are continually focused on enabling a future with more hope, more collaboration, more discovery, and less disease. PD-1/PD-L1 axis: PD-1 is a co-inhibitory receptor that is highly expressed on activated T cells, B lymphocytes, natural killer (NK) cells, and myeloid-derived suppressor cells (MDSCs). In the effector phase of the immune response, PD-1 expression is induced by TCR-antigen engagement and by common γ-chain cytokines like interleukin (IL)-2, IL-7, IL-15, and IL-21. PD-1 has two known ligands, PD-L1 and PD-L2, and their engagement leads to effector T-cell exhaustion and apoptosis. In addition, PD-1 engagement with PD-L1 on tumors may render the tumor cells resistant to lysis by cytotoxic T-lymphocytes (CTLs) and Fas-induced apoptosis. PD-L1 expression/upregulation, e.g., by the activation of key oncogenic pathways, including phosphoinositide 3-kinase (PI3K) and mitogen-activated protein kinase (MAPK), has been documented in various tumors in response to the presence of antitumor immune pressure or a proinflammatory milieu. This upregulation is mediated by proinflammatory cytokines including interferon gamma (IFN-γ) and IL-4 through STAT1 and IFN regulatory factor-1. There are several monoclonal antibodies targeting either PD-1 or PD-L1 in use for the treatment of multiple solid tumors but melanoma and nonsquamous non–small cell lung cancer (NSCLC) patients appear to particularly benefit from these PD-1/PD-L1 axis blockers. LAG-3: Belonging to the Ig superfamily, LAG-3 is a T-cell co-inhibitory transmembrane receptor found on activated T cells (CD4+ and CD8+) and NK cells. It binds to the MHC class II (MHC-II) molecule and also interacts with TCR/CD3 complexes on T cells, inhibiting the calcium response to CD3 stimulation. Blockade of LAG-3 promotes T-cell activation, proliferation, and effector function. TIM-3: TIM-3 is produced on IFN-γ–secreting T helper 1 CD4+ and CD8+ T cells and on T helper 17 cells. TIM-3 expression is upregulated by antigenic stimulation and in response to proinflammatory cytokines. Galectin-9 is the proposed ligand for TIM-3, and interaction with TIM-3 induces tolerance and T-cell exhaustion. In murine models, combined treatment with anti–Tim-3 and anti–PD-L1 antibodies resulted in considerable antitumor immune responses and reduction in tumor size compared to either treatment alone. CTLA-4: In the priming phase of antigen presentation and following TCR-peptide complex engagement, surface CTLA-4 acts as a negative regulatory receptor of T cells. The level of CTLA-4 is variable across T-cell subtypes and is regulated by the calcium/calcineurin-induced transcription factor NFATc1. CTLA-4 is a homolog of CD28, which is a key costimulatory receptor on T cells, and hence it competes for the binding of the same ligands, CD80 and CD86. However, CTLA-4 has a higher affinity than CD28 for both ligands, resulting in interference with the immune synapse and T-cell inactivation. Therapeutic anti–CTLA-4 monoclonal antibodies have shown remarkable clinical activity in advanced melanoma by restoration of the CD28-dependent activation on T cells and promoting depletion of Tregs in the tumor microenvironment. GITR: Similar to all other costimulatory receptors mentioned below, GITR is a member of the tumor necrosis factor receptor superfamily. 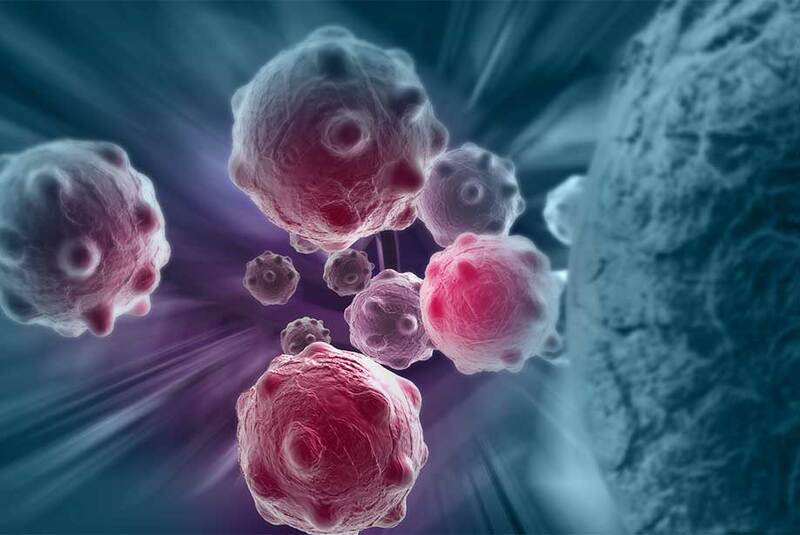 It can be found on the surface of multiple types of immune cells, including Tregs, effector T cells, B lymphocytes, NK cells, and activated dendritic cells. GITR activation increases the function of T cells, NK cells, APCs, and B lymphocytes and enhances CD4+ and CD8+ T cell proliferation in conjunction with TCR stimulation and reduces Treg mediated suppression. GITR agonistic antibodies in combination with PD-1 blockade were already demonstrated to be synergistic in murine models. OX40: While OX40 is not expressed in resting or nonactivated T cells, it is highly upregulated by both CD4+ and CD8+ T cells during the antigen-priming phase in response to TCR/CD3 cross-linking and in the presence of proinflammatory cytokines in the tumor microenvironment. Binding of the OX40 receptor to its ligand OX40L or agonistic antibodies induces proliferation and activation of the effector T-cell response as well as tumor regression in experimental models. 4-1BB: 4-1BB is produced on diverse immune cell types and transiently upregulated upon activation in CD8+ and CD4+ T cells. Recent results suggest that 4-1BB agonists could reprogram Tregs into cytotoxic CD4+ T cells with antitumor activity. Also, 4-1BB agonists have been demonstrated to induce tumor regression in several murine models, and these effects were more pronounced when combined with other immunotherapy strategies such as negative checkpoint antagonists, oncolytic viruses, and T-cell therapy. CD40: CD40 is among others produced on APCs such as dendritic cells, activated monocytes, and macrophages and binds to the CD40 ligand (CD40L, CD154), which is primarily expressed on activated CD4+ T cells. The CD40/CD40L pathway has been proposed as a critical step in the initiation of an adaptive immune response and CD40 agonists demonstrated antitumor immune responses in murine models, as well as in early clinical trials. Enzo offers a complete set of solutions for Immuno-oncology research including antibodies, ELISA kits and recombinant proteins. Check out our Immunology and Cancer platforms for more information as well as our Successful Research Tips. Additionally, contact our Technical Support Team for further assistance. Ligand plus enhancer for improved stability and enhanced immune activation.